I like those. 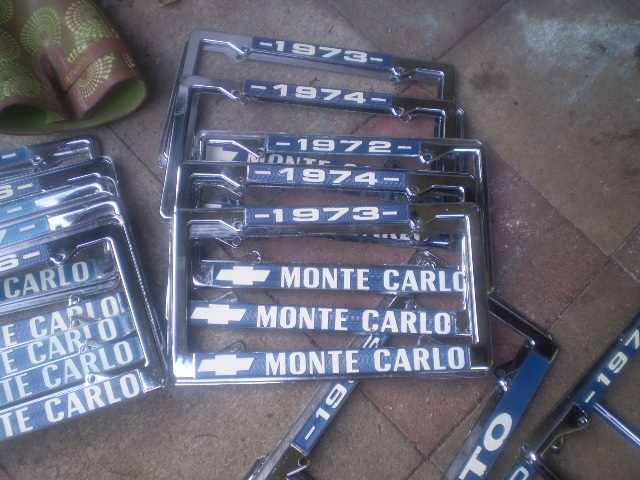 I had one for my Chevelle. However, the little 'handle' for the rear fuel door was in the way and had to be cut off to use the frame. 74MonteCarlo wrote: I like those. I had one for my Chevelle. However, the little 'handle' for the rear fuel door was in the way and had to be cut off to use the frame. 73 montes dont have that tab. Ah, yes they don't. Sorry. Well, let that be a warning to anyone with a 74-77.
got it on mine as well.